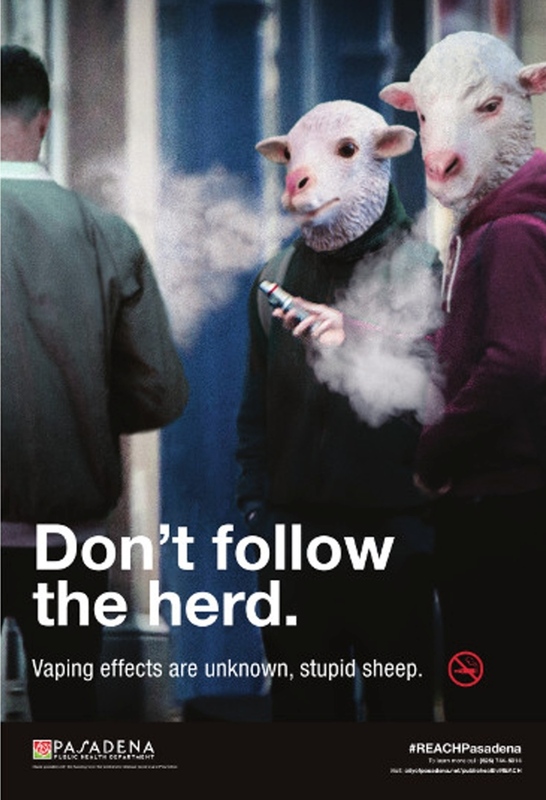 The city of Pasadena recently unveiled the advertising campaign, which features a series of images showing humanoid sheep vaping and asking consumers to not follow the herd as the effects of vaping are still unknown. 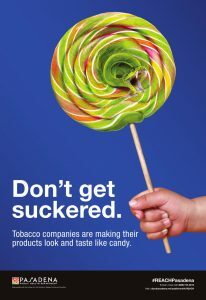 Other anti-vaping ads show a lollipop turning into a snake and say that tobacco companies are making their products look and taste like candy. A third picture is targeted at smokers of conventional menthol cigarettes. 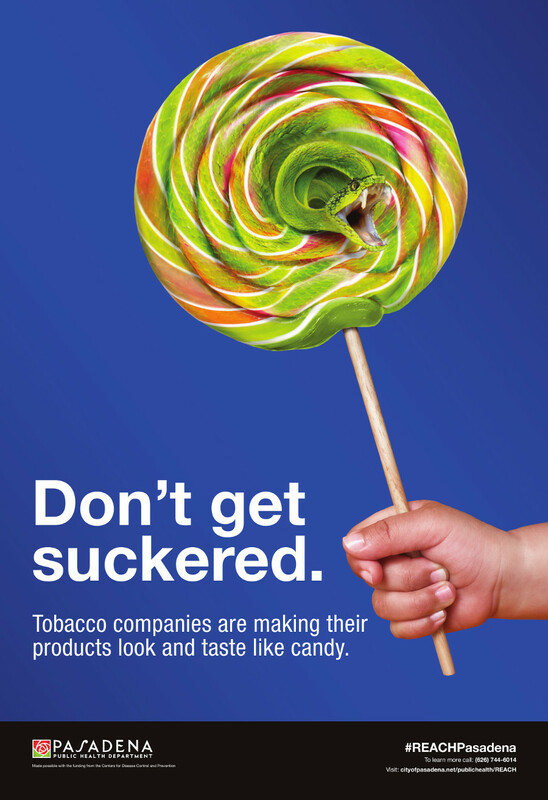 It shows a child saying: “If you had quit sooner I would have known you.” The subheading says that menthol pushes fruity-flavoured poison deeper into the lungs. The advertisements will appear in English and Spanish on buses and bus shelters as well as being distributed through social media. They are funded from a three-year $1.5m grant provided by the Racial and Ethnic Approaches to Community Health (REACH) Program at the federal Centers for Disease Control and Prevention (CDC). Pasadena is the only city health department to have been awarded one of the 49 grants provided by the CDC’s REACH programme, which is designed to target minority communities and address public health problems that affect them. 33.6% of the population of Pasadena is Hispanic and 10.5% is black/African American, said the city’s public health department. Statistics show the use of conventional menthol cigarettes as well as e-cigs is high among the Hispanic/Latino population in the U.S. and among African Americans, said Ying-Ying Goh, the city health officer. The public health department is also worried by the increase in youth uptake of e-cigarettes, with recent surveys suggesting that vaping has overtaken conventional cigarette use among young people. 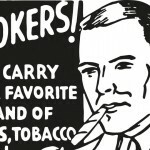 The campaign is hoped to raise awareness about the dangers of conventional menthol cigarettes, e-cigs and flavoured tobacco products as well as the advertising tactics used by the tobacco industry to push these products. It is also expected to shift attitudes about the products and show Pasadena’s minorities that it is not acceptable to use them, added Michael Johnson, public health director for Pasadena. It was created with the help of The Pastilla Institute, a marketing and branding agency. Local organisations such as Pasadena Tobacco Prevention Coalition, Neighbours Acting Together Helping All (NATHA), Day One and the Pasadena Cigarette Stompers Youth Ambassadors also contributed to shaping the campaign’s message, the city health department said. The campaign has been pushed out through social media networks such as Twitter with messages like “Use of tobacco products is the #1 cause of death in the USA. E-cigs & flavoured products included Don’t do it!” and “Flavoured like candy but contains formaldehyde and heavy metals, it’s still addicting tobacco”. But the campaign has unsurprisingly met with resistance from e-cigarette advocates led by Michael Siegel, a professor in the department of community health sciences at Boston University and a well-known e-cig advocate. “There really is no place for a campaign like this in public health. We should never call people stupid. 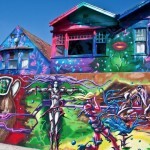 Even if people are making poor health choices, it does not mean they are stupid,” he said. California has already gained some notoriety for its strong anti-vaping public health stance at a state level. What This Means: Siegel gets right to the point. 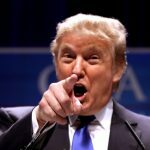 Wherever you stand on the regulatory debate and however you interpret the science, calling the public “stupid sheep” is unlikely to get consumers on your side. Of course, there are times when it is appropriate try and create awareness through shock tactics. But we do not expect this to be a successful example of that.